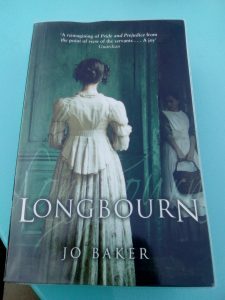 I’m reading Longbourn, which re-tells Pride and Prejudice from the servants’ point of view. It is not a new idea to imagine a classic as told by a minor character (see Wide Sargasso Sea, Mists of Avalon …) but it made me wonder about more ways to create new stories, using the steal and twist method. For example: I could rewrite The Musketeers from the viewpoint of their long-suffering grooms; see Sherlock Holmes as told by Moriarty; have Nicholas Nickelby’s sister Kate tell of miserable life at the milliner’s. So far, so fanfiction. What else could we glean for inspiration? I made a list of 6 elements you might steal – and twist to make them your own. Religion and customs. In Fly by Night Frances Hardinge created a world where children are named for the saint-day they are born on, and churches are filled with the idols of these thousands of little gods. Who are the gods in your world, what do the temples look like, how are children named and does your name, like Mosca’s, mean you are doomed to be unlucky? Pulteney Bridge in Bath. I took this photo 20 years ago of the south side. Below shows the less glamorous north side . 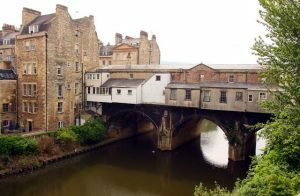 The contrast between public and private Pulteney Bridge still fascinates me. Setting. William Gibson’s story Virtual Light is set on the ruined San Francisco bridge, where the dispossessed live among the remnants of our age. The bridge is a town in itself. 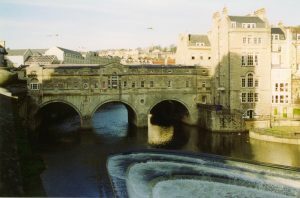 Bath has its own inhabited bridge, and the old London Bridge like many others, had houses and shops on it. I’ve always been fascinated by the idea of living at a crossing point – a border, maybe a tollhouse, an island in a river (like the Abhorsen’s house in Sabriel) or any place which is neither one thing nor the other, and forms its own society. What weird place can your characters live and work? Backstory. Minor characters are a goldmine. The chef shoved aside as enemies chase through his kitchen, the female assassin’s best friend, the child saved in passing by the superhero – what are their histories and how do their lives continue after the main story is done? Sometimes I fall for a character in a film and want to know more. (Actually, this happens all the time. I am incorrigible.) Pick a glimpsed character and imagine the rest. Premise. Obviously the premise of a book can’t be lifted and re-used, or the author would be upset. (Unless you’re John Christopher, who actually wrote all of The Tripods before somebody said to him, weren’t those created by HG Wells???) But say – someone who can travel through time, listening for the sound of children crying; a circus which appears in the night and vanishes before dawn; an entire world lurking beneath London, hinted at by the Tube map. These are all marvellous ideas and you must NOT steal them, but perhaps you can twist them to see where it might take you. What would the world be like underneath Cardiff – or above Cairo, hidden in the air? What if you could smell loneliness, or taste it on the wind? What if the circus fails to vanish at the right time, like Cinderella missing her coach home? Pivotal moment. What if, after Holmes plunges over the Reichenbach Falls with Moriarty, Watson shrugs, relieved, and sets up his own detective agency? What if Jane Eyre never returned to Rochester but instead went off with StJohn and had adventures in Africa (bit of a stretch, that. You’d have to make StJohn a million times less sickly). Reverse the key moment in the story and see where it would go. Don’t do it with Indiana Jones, though – as Amy points out in Big Bang Theory, it makes no difference to the outcome if Jones acts or does nothing. Mash ups. I love these. What if Jeeves went off to work for Miss Marple? How about Mr Darcy secretly fighting off highwaymen? (I already did this, sorry). What if George Smiley checked into the Second Best Marigold Hotel? With all of these ideas, you’re not aiming to make copies of the items you steal. You’re not a fraudster, changing the names and claiming the credit. Ageing spy checks into retirement home in unusual location – that’s its own thing. So is dammit the big top is meant to disappear at dawn, why is the milkman staring at our magical lion tamers? So begin with a minor theft, then expand and digress. Clash together two old ideas into a brand new premise. Start it like fanfiction, then make it your own. Happy thieving! Find an element in an existing story that niggles at you, that you can’t let go of. Maybe clash it together with a second element to create a mashup. Twist the elements, bringing minor characters to the fore, or using a background aspect as the principal setting, or placing disparate characters in the same place and time. Voila! A brand new idea ready for expansion.